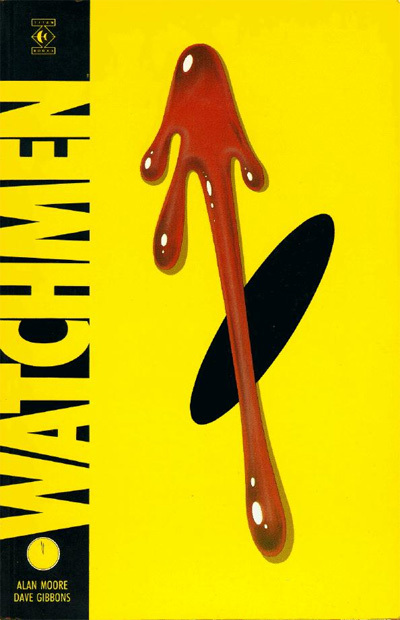 I don’t really have a whole lot to say about Watchmen, actually. It was extremely impressive, and it’s still sitting with me. I’m still forming impressions, coming back to certain events, thinking about how everything tied together. The politics are so relevant, and I never thought about superheroes in the context of what liberals and conservatives would think of them. Or what their impact on society would be. The story is so nuanced, I’m still trying to decide what I understood and what I missed. I’m also still thinking about some of the morality issues–what I think of the Comedian/Silk Spectre plotline, for example. So I don’t know what I can add to 20+ years of discussion about this masterpiece that hasn’t already been said. When I posted about the upcoming movie, I thought it looked amazing. Now that I’ve read the book, I have a lot of doubts about the very idea of making this book a movie. Can a superhero movie be this subtle? What can they take out and still get the whole big idea across? What about the pirates? I didn’t see 300, so I don’t know what this director can do. But I’m a little concerned. It just seems too…epic. Especially for a March release. Maybe I’d be less concerned if it was slated for Christmas. Christmas movies tend to be long, artistically driven, huge but not in the way July 4th movies are. But March? That’s Daredevil territory. That’s almost throwaway territory. I don’t know about this.